Over the last three decades, Vineyard Theatre has become the home for a vital new generation of American theatremakers, nurturing and premiering plays and musicals that have gone on to be seen all over the world. Our reach continues to broaden, and this past year we had the unique distinction of having four works that originated at The Vineyard cross the Atlantic and enjoy runs in London simultaneously. We hope you’ll take a few minutes to watch David Hyde Pierce (THE LANDING), Tarell Alvin McCraney (WIG OUT! 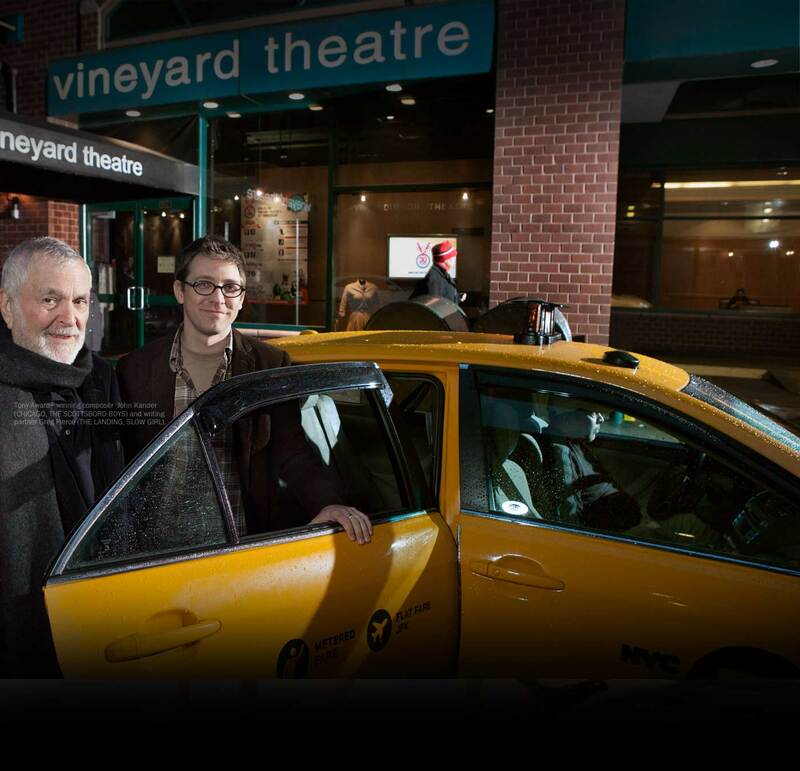 ), and a few members of our Vineyard Theatre family talk about the gifts The Vineyard has offered them over the years. This holiday season, we hope that you will keep in mind the many gifts that The Vineyard is able to offer New York audiences, artists and our community. As the year comes to a close, we ask you to consider making a tax-deductible contribution to Vineyard Theatre. The list below shows just a few ways that a gift from you can help The Vineyard continue its tradition of artistic gift-giving. Please, choose your gift. The Vineyard needs YOU! From all of us at The Vineyard – thank you! Interested in a bigger gift that keeps on giving? To discuss naming and underwriting opportunities, please contact Erica Mann at 212-353-3366 x227 or emann@vineyardtheatre.org. Montana Levi Blanco, the "Daddy" costume designer, is the recipient of the Sam Norkin Award for his amazing work throughout this theatre season.